MICHAEL DOUGLAS HAS preemptively denied an allegation of sexual misconduct from three decades ago — before the publication of the claim. The 73-year-old two-time Oscar winner told Deadline he anticipated an upcoming article in the Hollywood Reporter would contain an allegation by a former employee that he acted inappropriately in front of her about 32 years ago. “She claims that I masturbated in front of her … This is a complete lie, fabrication, no truth to it whatsoever,” Douglas said in the interview. He said the woman claims he “blackballed her from the industry and stopped her from getting another job”. He also denies this. Douglas said his wife, actor Catherine Zeta-Jones, “has been very supportive”. Douglas said he remembers the former employee who is allegedly making the accusations and called her “sophisticated” and “intelligent” with a “good sense of humour”. He said he has had no contact with her in more than 30 years. 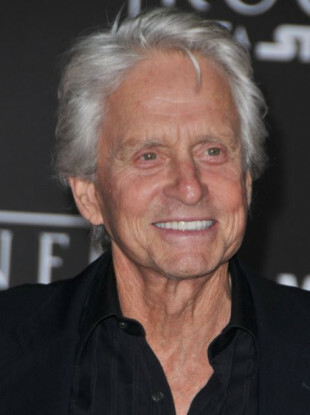 Email “Michael Douglas preemptively denies sexual harassment claim”. Feedback on “Michael Douglas preemptively denies sexual harassment claim”.